We have a Shoppers Drug Mart very close to our house and it is our go-to store for any last-minute needs. They've got everything from a pharmacy and post office to groceries, make-up, books, toys, and seasonal items. So, I'm excited to be a #GettheMostOutofLife blogger in April! Shoppers has created a new information hub online at lifebrand.ca that is filled with resources for Canadian families on getting the most out of life and throughout the month, I'll be sharing more on social media from the website- it has a lot of great articles and resources! 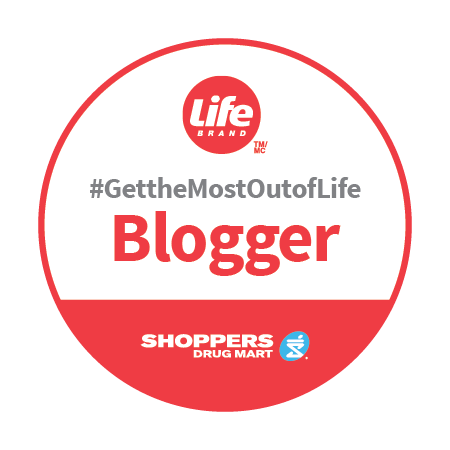 Shoppers Drug Mart is hosting a "Get the Most Out of Life" Contest for the entire month of April where they will be choosing a new winner every 3 days to receive a Life Brand prize pack!